Living in Miramar Beach is as idyllic as it sounds. The beach community is characterized by its decidedly beachy, mellow atmosphere with more than a few modern amenities thrown in the mix to make this community a wonderful place to live, work and play. 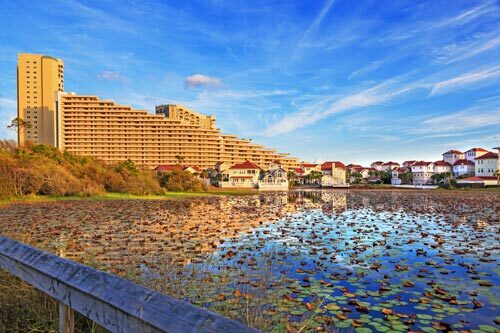 Located on a thin strip of peninsula in between the Choctawhatchee Bay and the Gulf of Mexico, Miramar Beach is a quiet coastal enclave that features incredible beachfront homes and condos, many of which afford panoramic view of the emerald green waters. Throughout the communities of South Walton, and especially in Miramar Beach, residents take advantage of the near-perfect, year-round weather conditions to get out and get active. Whether it’s laying out on one of the community’s beautiful beaches or perusing the offerings at some of the local craft merchants’ establishments, there is truly never a moment that Miramar Beach doesn’t captivate its residents. The waterways throughout Miramar Beach are one of the most exciting sources of exploration and education of the unique environment in northwestern Florida. Home owners are free to explore the network of lakes, pools and bay waters throughout the community. Many local companies provide paddleboard, kayak and surfboard rentals to allow explorers to get up close and personal with the local environment. The beaches in South Walton are unlike those throughout the rest of the world. Composed primarily of pure quartz crystal deposits from the Southern Appalachian Mountains, the sand in Miramar Beach throughout the region is pure white. Not only does this offer area home owners a dazzling environment for their homes, but the sand beckons all to come play and build. You won’t be limited to just the beach if you’re looking for art in Miramar Beach. Arts and culture abound throughout South Walton. Artist colonies at Gulf Place, Ruskin Park in Seaside and the Shops of Grayton allow local creatives to showcase their fascinating work. Those looking to unwind a bit can do so in Miramar Beach with a little retail therapy. With over 465,000 square feet of retail space and more than 100 shops to choose from, the Silver Sands Outlet Center is one of the largest of its kind in the entire country. With so many great brands to choose from, Silver Sands has become a popular destination for tourists and is a mandatory “go-to” for residents looking for that perfect something. South Walton has long been known to be a golfer’s paradise, and Miramar Beach is no exception to that rule.